Based on the reuse of materials, we use and develop various art techniques in our workshop. Currently much of the creation is focused on mosaics, diverse products of molten glass, and natural fibers. 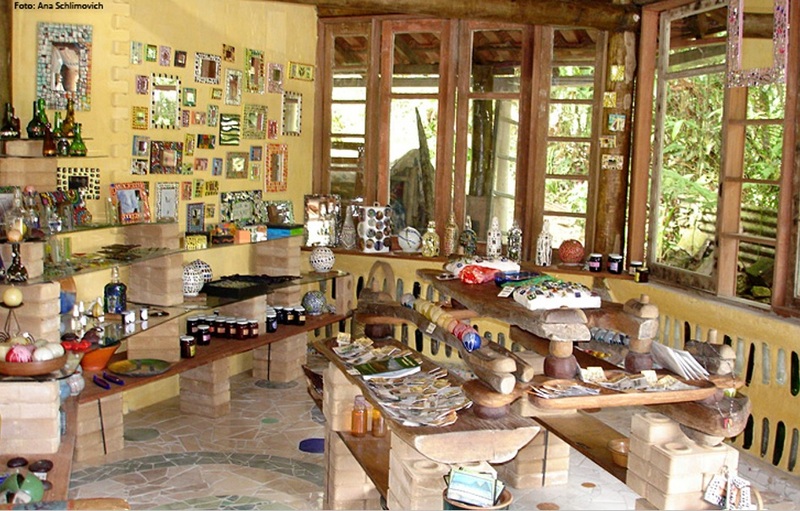 The products coming from the atelier are displayed for sale in our store of sustainable products, and are also used in the decoration and functional parts of the inn, making each environment unique and full of personality. A new space has also been creatively built with recycled and reused materials that combines mosaics, bottle walls, and demolition pieces integrated into the rustic and cozy ambiance. 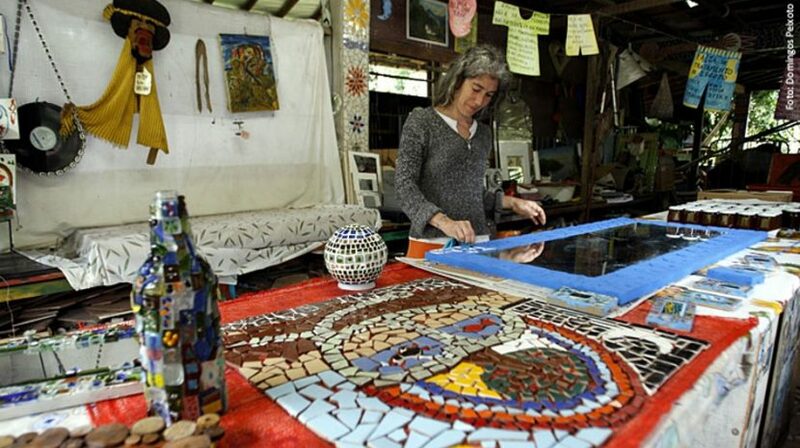 The mosaic is an organic part of the El Nagual Reserve, practiced as a strategy of recycling in the construction. Today it is possible to find several mosaics in all corners of our facilities, in the same way a great variety of products are made with equally diverse techniques.